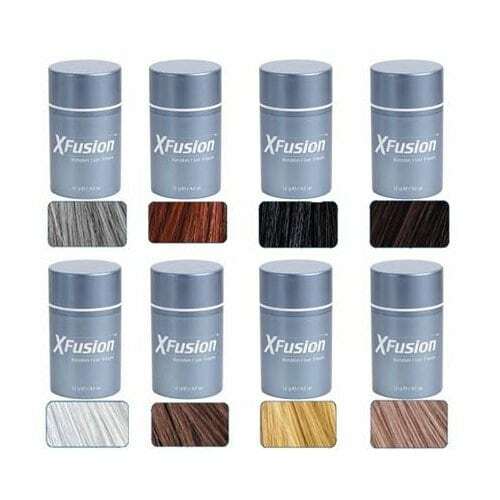 XFusion Hair Building Fibers instantly make thinning hair look thick and full. Keratin fibers cling to existing hair and, in seconds, fill in all thinning or balding areas. XFusion won't come off in wind, rain or perspiration. It is totally undetectable, even from as close as two inches.